If you're ready to experience the stunning Mazda SUV range, the attractive offers available at Lansdown Mazda might make your decision a little easier. Exceptional driving dynamics and sharp, muscular looks, both Mazda CX-3 and the rugged, spacious Mazda CX-5 have a lot to offer. With 3.9% APR~ Representative available when using Mazda Personal Contract Purchase, as well as Mazda Deposit Contributions, start exploring the latest offers below. Contact our helpful team at Lansdown Mazda to arrange a test drive, or receive a valuation of your current vehicle in part exchange. Fixed Rate of Interest 2.01% p.a. 2.01% p.a 2.01% p.a. Designed to turn heads with its stylish design, Mazda CX-3 is one of the most popular models in the Mazda range. As a compact SUV, Mazda CX-3 offers a commanding raised driving position without losing any of Mazda's fun driving characteristics. 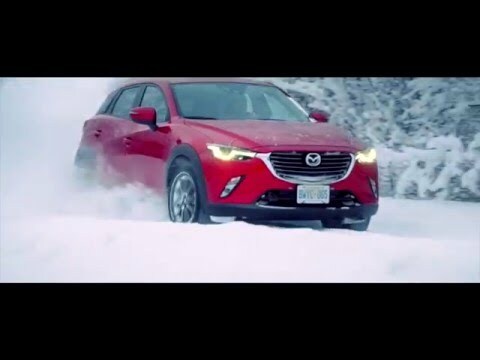 When the going gets tough you can rely on Mazda's optional intelligent All Wheel Drive (AWD) system to offer superior traction. Behind the wheel you'll find a 7” colour touch-screen for easy use of the infotainment features, as well as cruise control with speed limiter as standard. Top of the range Sport Nav models feature a reversing camera, BOSE ® Sound system and LED headlights amongst a wide range of safety and convenience features. Every Mazda CX-5 is generously equipped for convenience and comfort, with dual-zone climate control air-conditioning, satellite navigation, front and rear parking sensors, integrated Bluetooth®, cruise control and Smart City Brake Support as standard. Top of the range Sport Nav models add heated leather seats, BOSE® sound system and a reversing camera. Mazda CX-5 is also packed with the latest safety technology including Adaptive LED Headlights, Blind Spot Monitoring, Lane-keep Assist and Rear Smart City Brake Support - all available via the optional Safety Pack on Sport Nav Diesel models. Welcome to Lansdown Mazda. To optimise your experience, cookie settings on the website are set to allow all cookies. By continuing your journey throughout the website, you consent to this. You can change these settings here.